I’m not normally a do things early type of person. However when Michael’s challenged all of the Michael’s Makers to the annual Dream Tree Challenge, I was excited to see what I could come up with. Now I toyed around with a lot of ideas but I finally settled on a Rainbow Christmas Tree. I had to make a lot of the ornaments myself (or spray paint them at least), so you can expect to see some of these ornaments as tutorials over the next month. I had a lot of trouble finding yellow and orange ornaments, which are apparently not very Christmasy colors. It was also harder to find yellow and orange glitter than I expected, so spray paint was my best friend. What I especially love about this look is that it’s very achievable. You don’t have to buy a whole new set of ornaments, or wrap ribbons and bows around your tree. You can use many ornaments you already have, and you’ll probably find that you need certain colors more than others. Since I found that I had the most red ornaments, I decided to start with red at the bottom of the tree and move up along the rainbow: red, orange, yellow, green, blue, purple. To keep things from getting too busy, I went with everything else white: a white tree skirt, a white star, and white presents. I was a little worried that the rainbow effect wouldn’t show up well against a traditional green tree, but it really does. Even at night when just the tree lights are on, you can still see the rainbow. Honestly I love this tree so much more than I expected. The pictures really don’t do it justice. And my kids really got into helping me with the rainbow tree too. 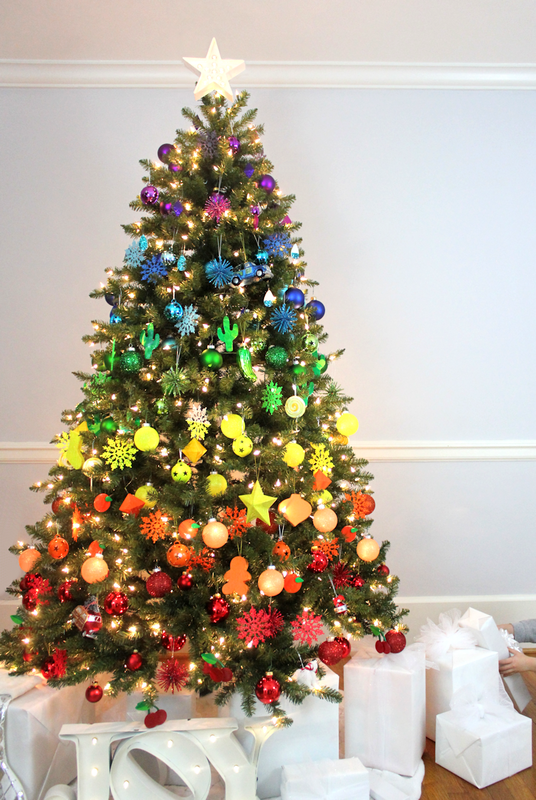 I thought that they would try to step in and want to decorate the tree their own way, but they absolutely LOVE their rainbow tree and loved helping me create it. 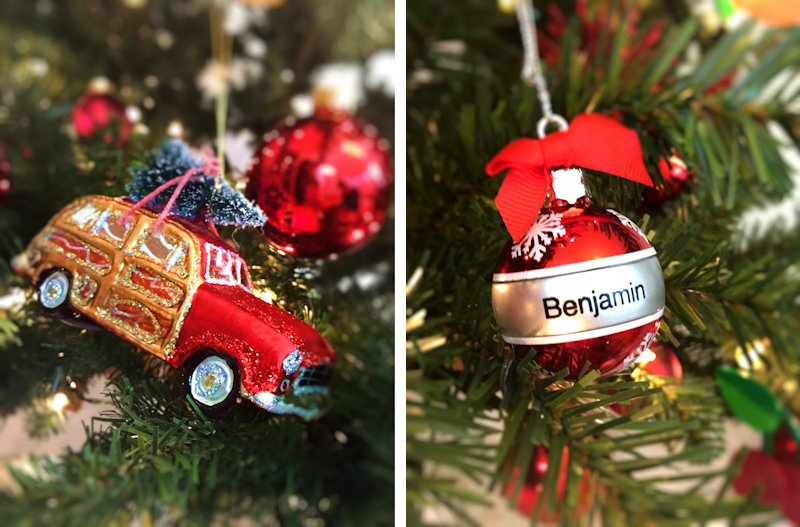 My son Benjamin picked out a little red ornament that said “Benjamin” on one of our many trips to Michael’s and wanted to make sure it was visible in all of my pictures. My daughter Lyla couldn’t find her name, but found one that said “Kate”. Her name is Lyla Kathryn but we call her Lyla Kate. She proudly announced to quite a few people in the store that she found her middle nick name ornament. 1. Use a variety of shades, textures, and ornament styles. 2. Let the colors overlap a little bit. 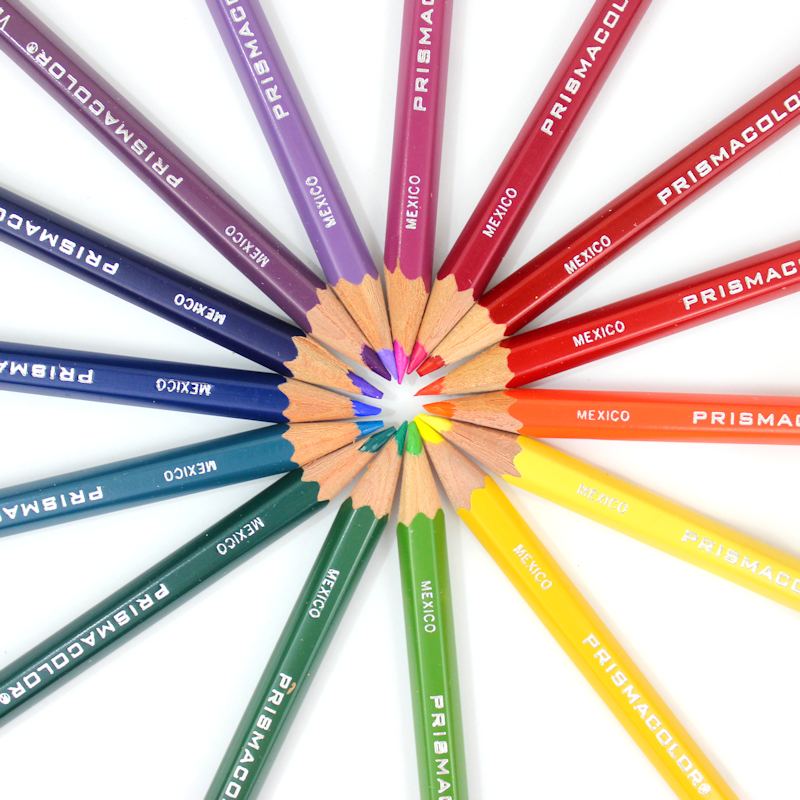 At first I tried to create perfect strips of color and it looked a little weird. Plus it was really difficult to do. But when I started to let the colors overlap a little bit it all came together. 3. 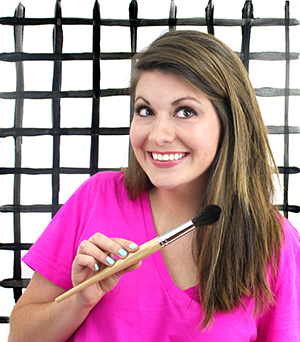 Create filler ornaments. I bought a bunch of simple glittery white snowflake ornaments at Michael’s in the craft ornament section. I spray painted a bunch in each color of the rainbow and spread them around the tree. I also wasn’t sure how spray paint would look on top of the white glitter but it really looked amazing! 4. Fill the tree. To really get a powerful rainbow effect you want to make sure to use a lot of ornaments. Make sure to put some ornaments further inside the tree and not just on the edges of the branches. 5. Also consider: You could also paint the tips of the tree different colors to intensify the rainbow effect, or spray the tree with fake snow to create a softer and lighter look. You could add a string of colored lights around each section of the tree. And if you’re looking for more Christmas tree inspiration, check out the 49 other Dream Trees designed by the Michael’s Makers this year. I just love looking through everyone’s beautiful posts and seeing all of the different styles and designs these talented bloggers come up with! 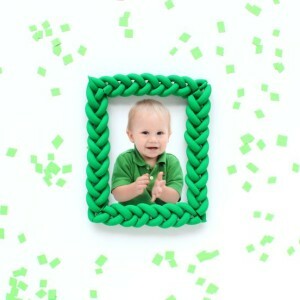 You can also find handmade ornament tutorials at Michael’s blog, The Glue String. 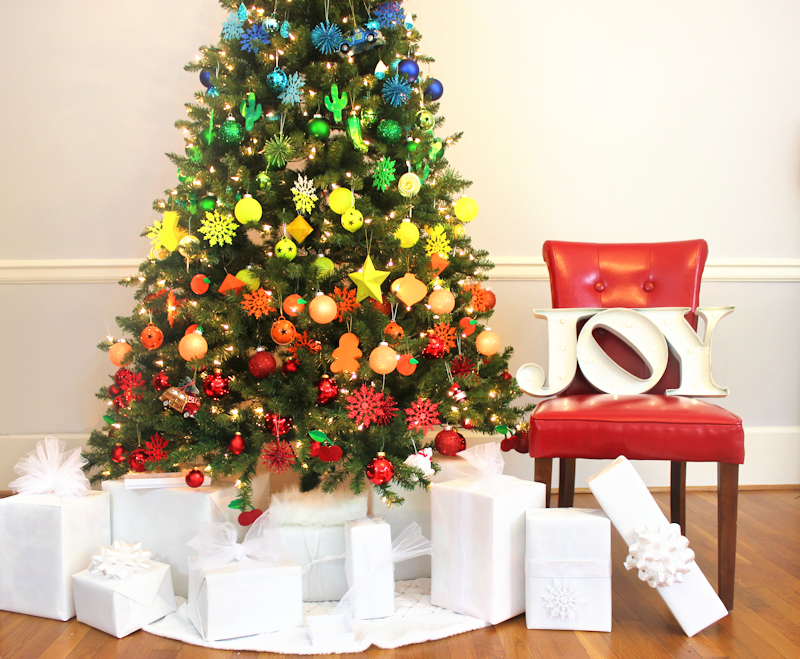 And from now until November 14, you can get free shipping on all trees over 6ft at Michaels.com. Check out the other beautiful Dream Trees! This tree is so pretty, and so perfectly you!! I love it! Thanks so much Pat and thanks for sharing. I love Brittany and her dress the rainbow project is AMAZING! 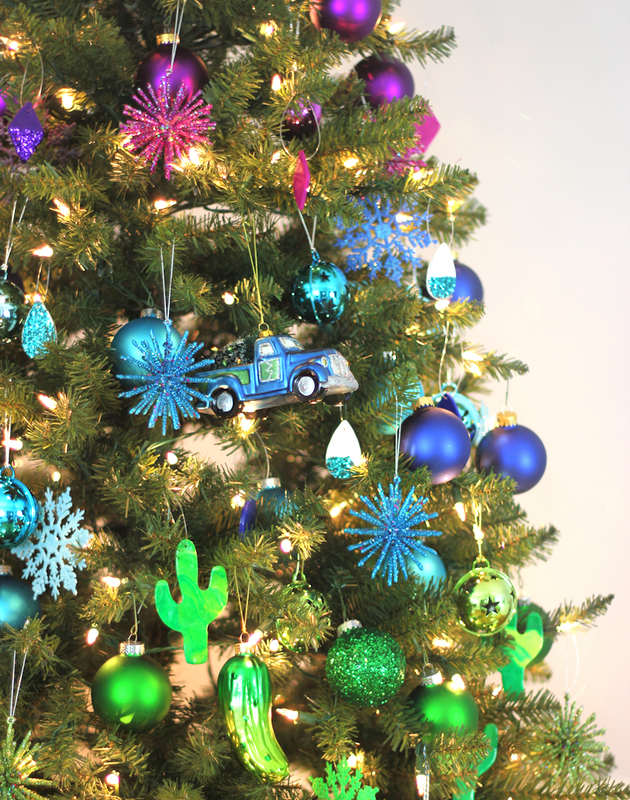 This is just sooo pretty, I adore your tree and all the fun colored ornaments. And yes, it is early, but it is the first thing this year that makes me long for Christmas again. Thanks! Thanks so much! 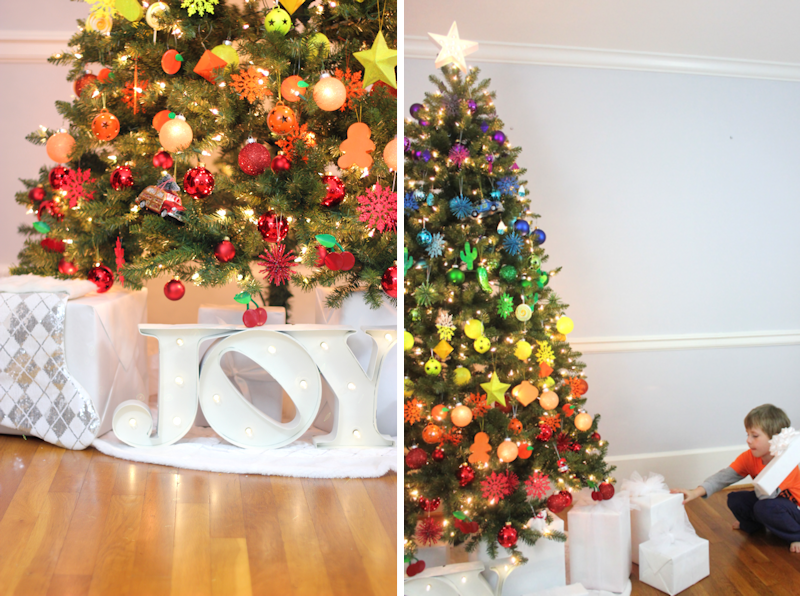 We have really been enjoying our colorful tree! so so rad! love it! Thanks so much Brittany!! 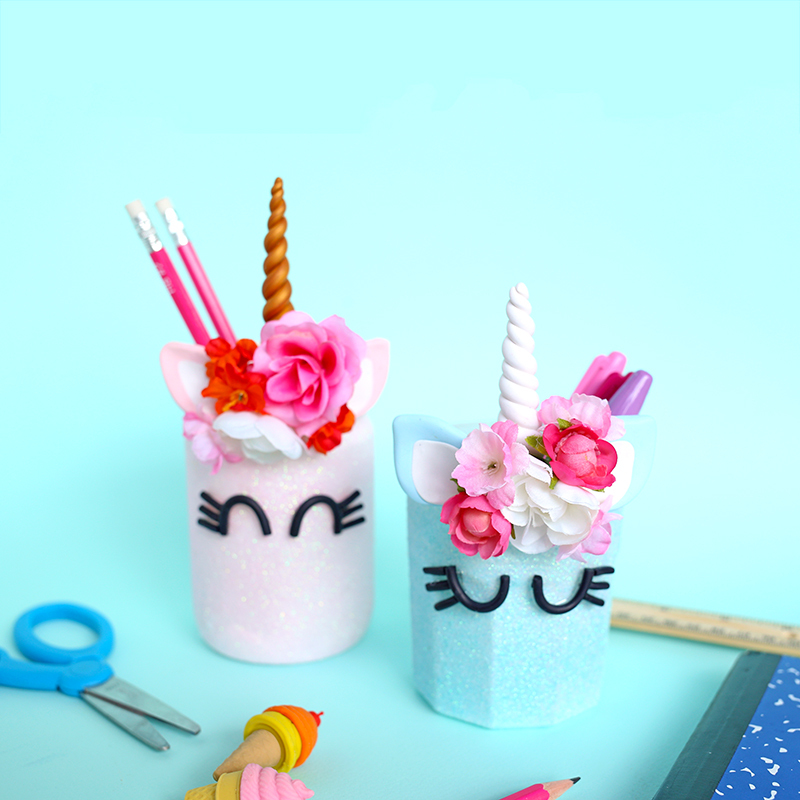 I just love all of your Craft the Rainbow and Dress the Rainbow posts! Very pretty! I was inspired in 2008 to do a chromatic Christmas tree on white… After finding my mother’s paint box after she had passed away! She was an artist! I did the rainbow tree that was picked up by Etsy! I searched and searched after creating it, it was the only one out there on the Internet at that time… Even before Pinterest! The following year houzz asked permission to feature it. Every Christmas since then it is fun to see how others have created their own colorful Christmas trees! Well done!